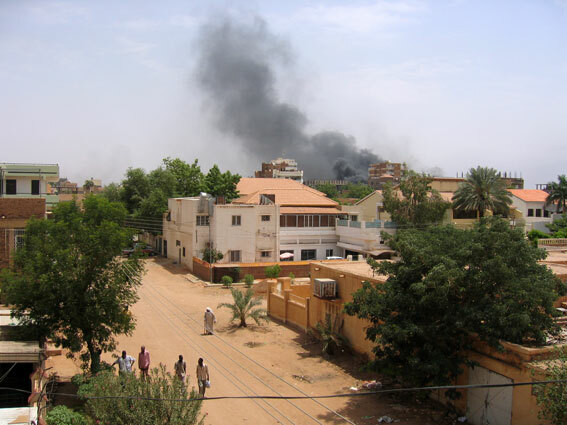 To note, a one month research fieldwork in Khartoum, Sudan, between July 15th and August 16th, 2005. This last fieldwork was rich, beyond initial expectations: the idea was to compare Khartoum, the triple Sudanese capital, with Cairo on the issue of status given to and manners deployed in the public spaces (in particular public gardens, parks). The comparison is difficult (but not impossible), however the local tradition of picnic is in itself worthy of a research, to be pursued, on its arrangements with the moral and political contexts (islamist, but in evolution with the signature of the peace with the South). An article is in the course of writing: Nilotic loves, picnics and politics, pastorales recreations in Khartoum (Sudan). During this research fieldwork took place the death of John Garang and the consecutive murderous riots in Khartoum. This article has been read 1852 times. Dernière mise à jour de cette page le Saturday 9 January 2016 à 21:27:57. //// -----> Citer cette page? Vincent Battesti, "Research fieldwork in Khartoum" [en ligne], in vbat.org anthropoasis, page publiée le 17 March 2006 [visitée le 22 April 2019], disponible sur: http://vbat.org/spip.php?article272.